Hey there, event marketers. 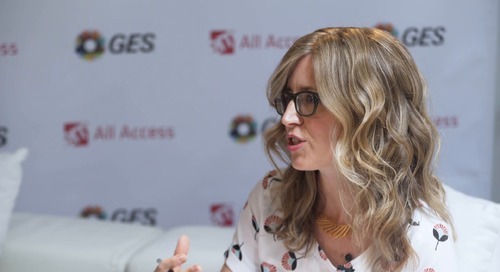 Jessica Heasley here, back with another episode of EM All Access where we connect you with some of the most innovative events in the industry and the marketers behind them. 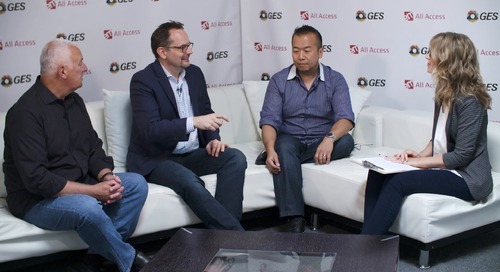 Today’s episode is sponsored by GES, a global full-service provider of live events. 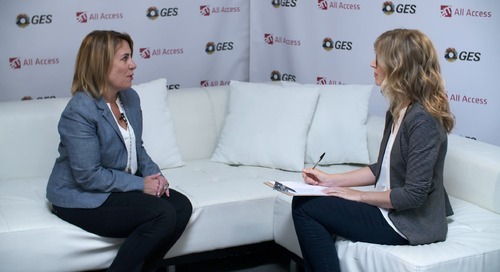 And it focuses on how GES is evolving its corporate event offerings. 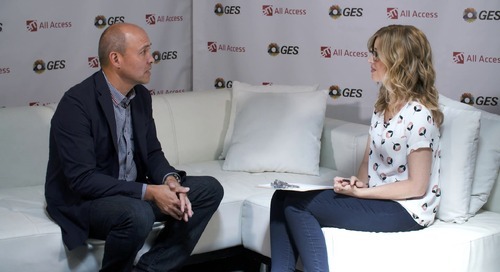 From global events and the influx of millennial attendees at conferences and meetings to the rise of white-glove experiences, a global approach to events gives GES an industry edge for worldwide brands. 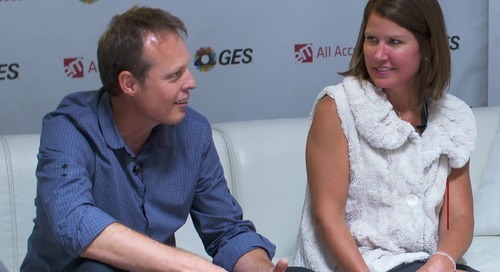 And a knack for relationships and service round out a well-balanced partner offering about some of the insights, ideas, and case studies driving the GES corporate event engine. Let’s listen in. 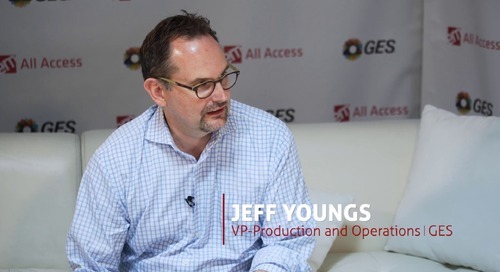 HEASLEY: So GES is capable of handling a really wide variety of attendee experiences. Can you give us a taste of just some of those that you’ve worked on recently? THOMAS: Just recently worked on what’s really a program for a client where they needed somebody to work on a global scale. So what we can do is we can do their show domestically in the United States and then we can do it globally, whether it’s in the far East or the UK or the UAE. We have the ability to provide the same exact experience for the attendee in every continent. 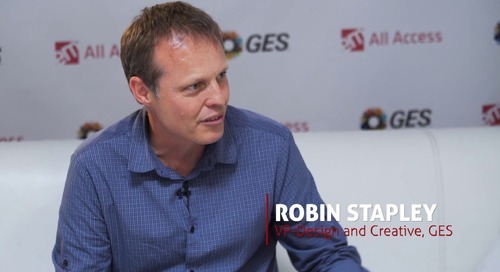 Clients really like the ability that we have to be a global organization, to be able to take their brand and bring it to life all across the world. And so being able to protect their brand and bring it to life is a very, very important thing and having that consistency. HEASLEY: And it’s not just your footprint. You have in-market experts all around the world and that really makes a difference. THOMAS: Absolutely, because I think there are different things that happen culturally around the world. And we have to adapt to those things that happen within the culture. So the experience may be the same, but the experience is for that part of the culture as well. So it has to evolve into that. And bringing those cultural things in based on what country we’re producing the event in is important. HEASLEY: And not all agencies have that kind of ability, that kind of footprint with relevance. THOMAS: Yeah, we’re fortunate to be unique in that situation. And I think one of the things that we do well is we align ourselves as a company to be an international global supplier. HEASLEY: You also have expertise in white glove projects. Can you tell me about one of those? THOMAS: It’s unique because we try to treat every one of our clients with white glove service. But there are some that have certain high-level challenges, I’ll say, that we have to deal with. Whether it’s a government event at the state department, whether it’s dealing with security issues, content issues, high-profile attendees, different types of situations with venues, we have that ability to really provide that service on a very, very high level. HEASLEY: And then, let’s not forget about millennials, the most important attendee type coming on into the industry now. How are you reaching that audience? THOMAS: We’re really doing a lot of research on trying to see how they are affected by the content, by what’s happening. So we have an opportunity to work with a new client that has a very large millennial audience. So what we have to do is we have to think differently for those people. We have to look at how we’re approaching that content. We have to think about how we’re approaching that experience, what aligns with what the millennials are looking for. We also have to look at how it affects the rest of the people in the audience. We have to come up with a good combination and a good equation that will work for the entire audience to make one great experience. 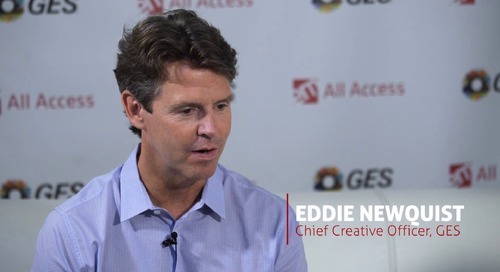 Going global and changing the corporate event attendee: two huge trends impacting the event marketing industry right now. 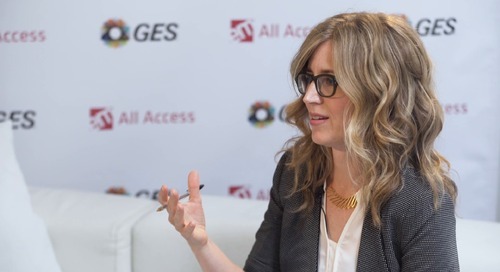 At GES, a world-wide scale and a growing experiential scope of work provides a unique offering for clients looking to create strategic and relevant events. I’d like to thank Mark for joining me and you for watching. 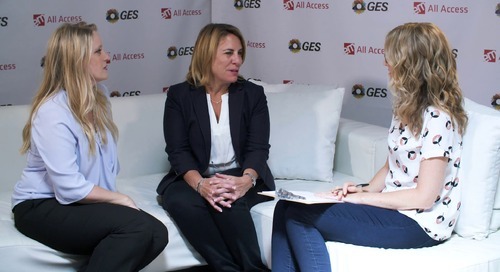 Learn more about this episode’s sponsor, GES, at ges.com and explore our growing collection of EM All Access conversations and behind-the-scenes tours at eventmarketer.com. 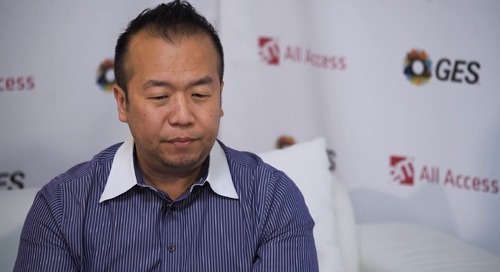 Mark is the Senior Vice President of Business Development for GES Corporate Events team. 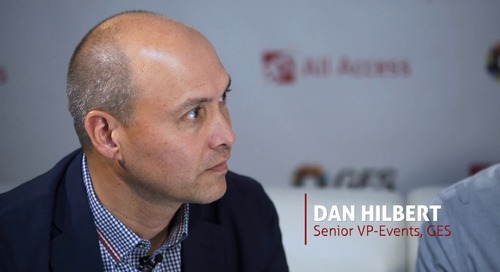 He has more than 30 years of experience in corporate events and client engagement which places him in a unique position to be the strategic champion for clients.